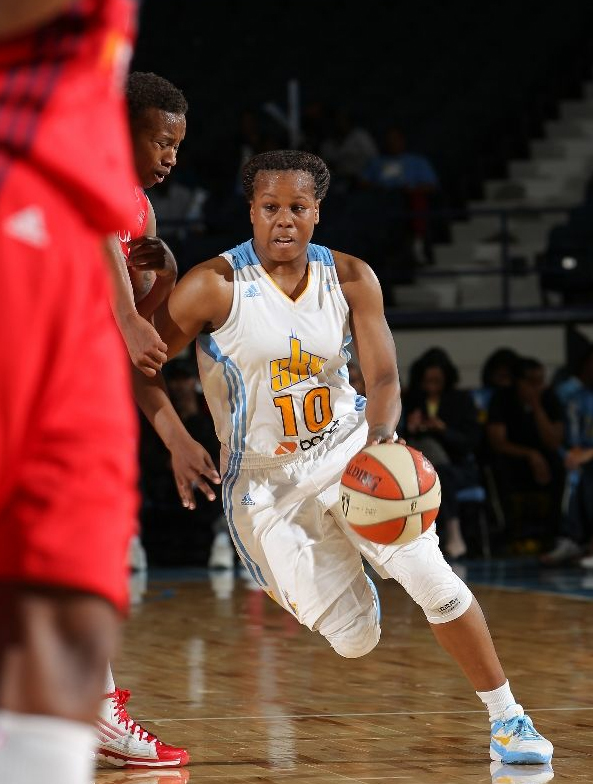 The Sky beat the Liberty on Sunday and are now on a franchise-best 5-GAME WINNING STREAK! As ecstatic and proud I am to be able to say that as a Sky fan, that will not be the focus of this blog post. The focus of this post is: Tamera Young. Finally, after all these years of doing all the little (and big) things to help the Sky get wins, Tamera Young is finally getting some shine for her contributions. While Epiphanny Prince and Sylvia Fowles have been the steady one-two scoring and rebounding punch for the streaking Sky, veteran forward Tamera Young has been handling a lot of the requisite grit work. When it comes to loose balls, steals and deflections, fast breaks and cleaning up shots around the basket, Young leads the way. Young, who attended the same high school in North Carolina as Michael Jordan, contributed 16 points off the bench, to go with six rebounds, three assists and two steals. The Sky seek a franchise-record fifth straight victory Sunday visiting the Liberty. “I just love being on the floor; I just try to bring that energy to my teammates and keep them going when things aren’t going well for them,” said the 6-foot-2 Young, who was a first-round pick of the Dream out of James Madison in 2008 and initially wore No. 23. Although TYoung has been playing this way since she joined the Sky in 2009 (via a trade with the Dream for Armintie Price — i.e. the ONLY good move that Coach Key EVER made), she is just now getting the credit and recognition she deserves. In my opinion, 2011 was a breakout year for TYoung. Under the coaching prowess of Pokey Chatman, TYoung was able to refine her game a little bit, play within the system and find ways to utilize her unbridled energy in the most effective ways possible on both offense and defense. She quickly became one of the most important players on this Sky roster…or as I like to call her, The X-Factor. This season, TYoung continues to do a little bit of everything while on the court for the Sky. Her most notable contributions usually come on the defensive end, where it is typically her job to lockdown the top offensive threat on the opposing team. But honestly, that is just the tip of the iceberg with regards to what TYoung actually does for this team. Although Big Syl and Piph have been carrying the offensive load for much of this season, there are times when NOTHING is falling for ANYONE on the Sky. It is usually TYoung that hits when everyone else is shooting blanks. Timely shots. Timely steals. Timely blocks. Timely boards. When the Sky need a timely play, it’s always TYoung in the right spot at the right time to make it happen. I think the reason I love TYoung so much is because, as Sky fans, we’ve had the opportunity to to watch her grow so much as a player over the course of her time with the Chicago Sky. Her game has grown and matured so much right before our eyes in the last 4 seasons. I absolutely love seeing that. As a fan, that is one of the most satisfying things to be able to watch. Oh, and before we start labeling TYoung simply a “scrappy, energy player that does the dirty work and brings the intangibles to the game that may not show up in the box score,” let’s not overlook the actual TANGIBLE stats that she brings to the team. TYoung had 16pts, 6rbs, 3asts and 2stls in the game against Tulsa. 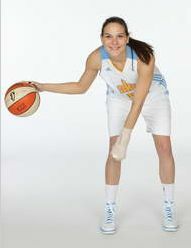 Yesterday against New York Liberty she had 12pts, 7rbds, 3asts, 3stls and 1blk. #BEASTMODE. Those are the numbers of a BONAFIDE BALLER. So, although she does a lot of the little things for this team, let’s not pigeonhole her into being one of those players that get all kinds of praise for bringing “engery,” “passion” and “scrappiness” while recording all goose eggs in the box score. TYoung is SOOOOOO much more than that. Sky fans have known that for years. 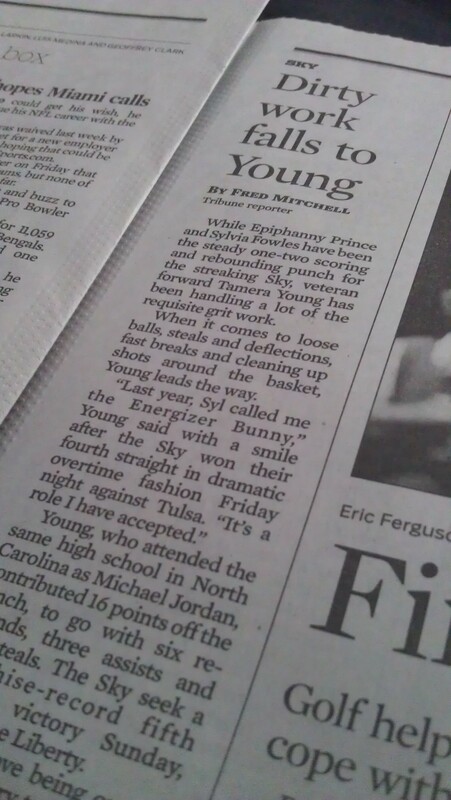 I’m so glad that everyone else is starting to appreciate the greatness of TYoung as well. The streak continues. Our amazing, heart-stopping winning streak has now reached 4 games. Is this the Sky’s first time ever winning 4 in-a-row? For some reason, I seem to recall a 4-game streak in the past (..perhaps it was a 4-game HOME winning streak or something. I dunno for sure). Anyway, the Sky’s current streak has been done in spectacular fashion…and this game against the Tulsa Shock was no different. Anyway, enough that random stuff. Let’s talk basketball. The Sky played poorly throughout most of the game but managed to stay ahead of Shock for the better part of the first 3 quarters. The Sky fell behind in the 4th. Down the stretch it looked like the 0-6 Shock were going to get their first win of the season against us. The Sky committed horrendous turnovers repeatedly, allowing the Shock to come back and take the lead down the stretch. Although the Sky played poorly and made bad decisions and passes throughout the game, a lot of the credit can be given to Tulsa’s defense. They laid a full-court press on the Sky throughout the game that the Sky had a lot of difficulty breaking. The Sky repeatedly tried to dribble out of the press when they should have been passing their way out of it. The Shock also played the passing lanes very well and got tons of steals. The Sky finished the game with 27 turnovers (yes, TWENTY-SEVEN!). I believe that was a new franchise record for number of turnovers in a game. Despite all of that, the game remained close down the stretch. The game seemed out of reach when the Sky went down 7 points with 30 seconds remaining in the game. However, as we’ve all learned over the course of the last few games, the game is NEVER out of reach when Epiphanny Prince on the court! Piph scored 8 points in the final 30 seconds, including the ridiculous running bank shot from 3-point land at the buzzer to send the game into overtime. Sloot also hit a big 3-pointer during that 30-second stretch to help get us back in it. Once Epiphanny Prince hit the HUUUUUUGE shot to send the game into overtimes, the Sky FINALLY started playing how they should have played the entire game and CRUSHED the Shock in the extra period. Obviously Piph was the player-of-the-game once again. She scored 32 points and dished out 5 assists. This was Piph’s 3rd straight game of scoring 30+ points! Amazing. She is so ridiculously clutch down-the-stretch. She can just completely take over a game and almost singlehandedly get us the win even under the most improbable circumstances. In Piph We Trust. We should totally get an “MVP” chant going every time she touches the ball at Allstate! Big Syl didn’t seem to get many touches this game. We had difficulty getting the ball into her in the post due to Tulsa’s solid defense. However, she still managed to finish with her coveted double-double by scoring 14 points and grabbing a ridiculous 21 rebounds. Sloot knocked down some shots this game (14 pts on 4-8 shooting) which always brings a smile to my face. As I mentioned earlier, she hit a HUGE three with 13 seconds left in regulation that then set Piph up for her heroics at the buzzer. 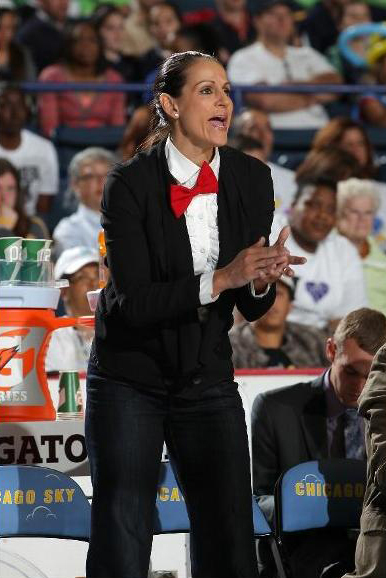 She had some difficulty with Tulsa’s press and many times got trapped in the corner after crossing half court. However, this wasn’t really Courtney’s fault. Overall, the Sky gotta have better spacing on their press break so that they can beat it with passing, not dribbling. TYoung had a solid game, as always. She hit 5 of 12 shots for 16 points. She also had 6 rebounds and 3 assists. It is important to note that 2 of TYoung’s assists came in the final 30 seconds of the game. She assisted on Piph’s big 3-pointer with 30 seconds remaining and also on Sloot’s big 3 with 13 seconds left. TYoung played 35 minutes off the bench! She better get some consideration for “Sixth Man of the Year” this year. I’m still ticked that TYoung didn’t seem to be in the conversation for 6th man last year. 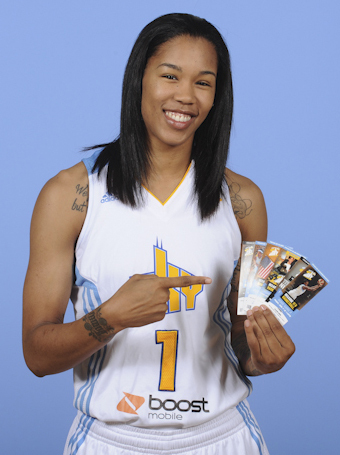 She better get some love this year, WNBA! After a remarkable first game against Atlanta, Petro kinda came back down to earth this game. She had a few turnovers and made some mistakes. Thing is, you could see that these were correctable mistakes and that the skills are there. Given more time to adjust to the WNBA game, I truly believe that Petrovic will be a legitimate force to be reckoned with in this league. I mean, not only does she have a nice outside shot, she can also put the ball on the floor, drive to the basket and finish at the rim. This is exactly what she did to score her one bucket in this game. It was NICE move. I look forward to seeing more Petrovic every game. Speaking of players I look forward to seeing more of, WHAT DOES CAROLYN SWORDS HAVE TO DO TO GET SOME MINUTES! I mean, damn, Willingham is out there wearing blue and yellow but is clearly playing for the opposition. Can Swords please have ALL of Willingham’s minutes! Pretty please, Pokey! This is getting ridiculous. I honestly don’t see why Pokey can’t find minutes for Big C. Swords isn’t just a big body. She is a damn good baller. She sets good screens, is magnificent on the pick and roll (although no one ever passes to her when she’s WIDE open after setting the screen), always gets great positioning in the lane and has good hands. What more can you ask for out of a post player?!? Especially when we get NONE of that from Willingham. Speaking of Willingham…WTF. Seriously, why does she play so many minutes? She played darn near the entire 3rd quarter and half of the 4th. The entire time I’m sitting there wondering why she’s STILL on the court. Every time someone went to the scorers table to check in, they checked in for someone other than Willingham. Once again…WHY?!?! I’d love to know Pokey’s reasoning behind this. I’d love to know what Coach Pokey views as Willingham’s main contributions to the team because I’m having a hard time seeing anything. Sorry for being so harsh. Swin Cash. Hmmm…in talking to other fans during and after the game, it seems as if the general consensus is that Cash really isn’t living up to her billing. I dunno if I agree with that. 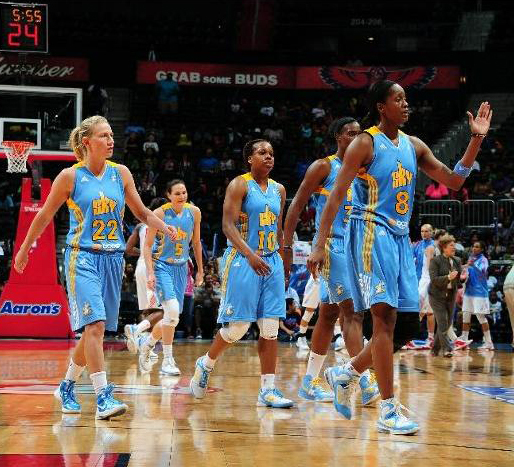 Ok, so clearly Swin Cash of the Chicago Sky is not the same Swin Cash that played on the Detroit Shock…but that’s ok. I wasn’t expecting Cash to come in here and take over. The only thing that about Cash that irks me is that she can’t seem to make an interior pass into Big Syl in the post without it leading to a turnover. Once again, I dunno if that’s Cash’s fault or Syl’s fault, but I would expect a seasoned vet like Cash to make better decisions on those passes. Some of them really have no chance of reaching Big Syl at all. Other than that, I’m hoping Cash will eventually hit her stride and start playing like an Olympian, but overall I think she’s doing fine and fitting in well. I feel like I never mention Ruth Riley on this blog. I think that’s because she never really does anything (good or bad) to stand out. Once again, I really don’t have anything to say about Riley. POW, POM…and a 3-game Winning Streak! So…lots of GREAT things have been happening with the Sky the past week. First of all, Sylvia Fowles was named the EASTERN CONFERENCE PLAYER OF THE MONTH for May! Congrats Big Syl! In leading the Sky to a 2-1 month, Fowles paced the league in scoring (22.3 ppg), rebounding (11.3 rpg) and field goal percentage (.711). Fowles recorded a double-double in all three contests, scoring at least 20 points in each game. For Prince, now in her third WNBA season, the Player of the Week award presented by Boost Mobile is the first such honor of her career. The product of Rutgers led Chicago to a 3-0 record, with road wins at San Antonio and over defending Eastern Conference champion Atlanta, as well as a home win over Washington. In the process, Prince engineered consecutive comeback victories, leading the Sky back from eight points down with less than two minutes to play vs. Washington; and from 22 points down at Atlanta the following night. Prince, who leads the Sky in scoring and steals (23.8 ppg and 2.6 spg), paced the WNBA in scoring (28.7 ppg) and minutes (37.0 mpg) during the week. She also ranked seventh in both three-point shooting (.571 on 12 of 21), and steals (2.33 spg). Prince opened the week with 22 points, five steals and six rebounds in a77-63 victory at the Silver Stars and then tallied back-to-back efforts of 30-plus points while bringing Chicago from behind both times. Prince first rallied the Sky past the Mystics, 65-63, with 31 points, including 16 of Chicago’s 22 fourth quarter points. The next day in Atlanta, Chicago’s first round draft pick of 2010 guided the Sky to a franchise-best 22-point comeback, hitting a three-point shot at the buzzer to send the game into overtime and then scoring all eight of her team’s points in the extra period for a 94-92 win. Third of all, Sky have won their last two games in THRILLING fashion, are currently on a 3-game winning streak and are off to the best start in franchise history! What more could we ask for, Sky fans! Ok, I’m going to try this liveblogging thing again today. I stopped liveblogging games last year because the Sky literally lost EVERY. SINGLE. GAME that I liveblogged. Hopefully the trend does NOT continue this season. Lets GO! I’m done liveblogging…for the season. It’s bad luck. Hopefully the Sky come back to make this one competitive. Not only did the Sky make it competitive, they actually came back to win! Needless to say, I will NEVER liveblog another Sky game ever in life. With that said, Piph was masterful again in that game. After starting the game slow, she put on a clinic in the second half. Angel doesn’t stand a chance! 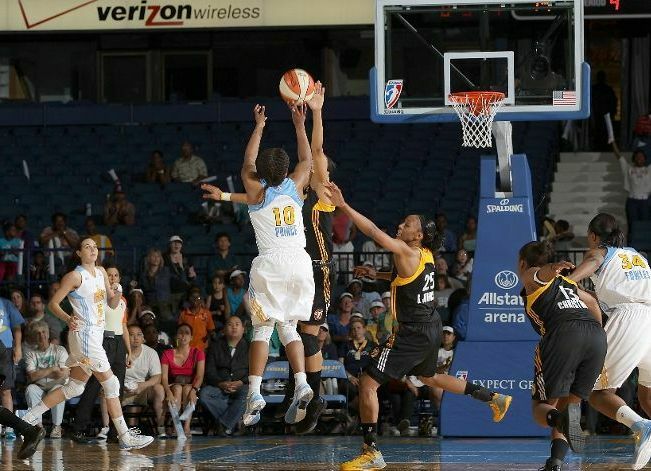 Sky play my second favorite team, the Tulsa Shock, on Friday. Although I desperately want to see Tulsa get their first win, they’ll have to wait a little longer. Sky are going for 4-in-a-row! Have we ever had a 4-game winning steak in our 7 year history? Hmmm…I dunno. — Hmmmm…trying to decide if I want to watch the game on CN100 or live access. Should I watch the Sky homers on CN100 or see what the opposition has to say about us? — The Sky beat us 3 out of 4 games last year? I thought we always beat the Dream? — Decided to stick with CN100. — Sky get first possession. — Sloot hits the the first bucket! Need Sloot’s shot to fall tonight. — Dang, Sloot hits another. She’s got 4pts already. — I liked Armintie when she was on the Sky…but I like TYoung more. That was one of the few (only?) good trades Key ever made. — Armintie is QUICK though…a one-man fast break. — Turnovers are KILLING the Sky already. Armintie with another fastbreak layup. — Vandersloot shoulda taken that shot. She’s thinking too much. Turnover. — Ok, so are we just gonna give Armintie wide open layups all night?! — TYoung, good bucket, as always. We needed that. — Looks like Pokey is bringing in the subs early. Good decision. These back-to-backs are rough. — Dream killin’ with these fast breaks. — Sky can’t hit a shot. Piph was on fire last night but can’t buy a bucket today. — Umm, the score is 29-7 right now. Maaaaan, What did I say about liveblogging earlier? — Ok, Piph just hit a shot. All is right in the world. — End of the 1st — 31-14. This game ended up being ABSOLUTELY AMAZING, but, lets be honest…this was an ugly, sloppy, messy, train-wreck of a game with no flow or rhythm for most of the night. But hey, that’s to be expected when you have two of the top defensive teams battling each other, right? As long as the Sky win, I don’t care if the final score ends up being 1-0, ok? ok! Player of the Game = Epiphanny Prince. Piph single-handedly kept us in this game from beginning to end. Her offense was the only consistent scoring that we got the entire night. Piph drained 6 of 7 threes on the night, many (i.e. all) of them coming at clutch moments. Don’t get me wrong though, Piph wasn’t just launching from 3-point land all night. She had some beautiful “and 1’s,” played solid defense and got some timely steals. She was the epitome of C.L.U.T.C.H. all night long. Yes, basketball is a team sport so all wins are “team” wins, per se. But in reality, Piph won this game for us. On the live access telecast, the announcers (Babcock-McGraw and some other guy whose name I can’t remember) debated a little bit whether this performance by Piph was the greatest individual performance by any player in Chicago Sky history. The announcers mentioned that Big Syl has had some dominant performances that could rival Piph’s performance last night. I disagree. Big Syl has put up some big numbers in the past, but she can’t “carry” us like Epiphanny did last night. Big Syl relies on others to get her the ball. Piph can just TAKEOVER without the assistance of anyone else. There’s a big difference there. That’s also why I’m hesitant to put any of Candice Dupree’s superhuman efforts on the list (although Candice carried this team more and could takeover a game more than Big Syl can). The only other individual performance in Sky history that I think rivals this is Jia Perkins’ 39-point explosion in a win over Sacramento several years ago. However, that was a triple-overtime game. Thing is, Jia was also C.L.U.T.C.H. down the stretch in that game. So, in my opinion, Piph’s 31-point and Jia’s 39-point explosions are the top-2 individual performances in Chicago Sky history. What do you think? One more tidbit on Prince. At the half, the sideline reporter (sorry, I don’t recall his name either), stopped to interview Piph on her way to the locker room. I dunno if Piph was just in a bad mood because of the overall crappy first half or if she is always that short, dismissive and curt in interviews, but the whole exchange was hilarious. She didn’t answer the guy’s first question then gave him an awesome non-answer to the second question. In the past, I’ve always been at all the Sky home games so this is the first season that I’m watching home games on live access instead of in the arena. I’m having fun seeing the games from a little different perspective. So, is Piph typically like that in in-game interviews? It was freakin’ hilarious though. If you were at the game and didn’t get to see it, go back and watch Piph’s halftime interview. Ok, moving on…Big Syl was solid as always. Offensively and defensively. She had some timely buckets as well, including the game winner. Finished with 19pts, 16rebs and 4blks. Sky still have trouble getting the ball into her at times. You’d think after all these years, we’d have mastered this by now. Not sure if the problem is bad passing by the guards or bad positioning by Big Syl…probably a combination of the two. TYoung and Cash had similar games tonight. Shots weren’t really falling for either of them but they found other ways to contribute. Their energy and intensity stays up the entire game regardless of the circumstances or the score. In my opinion, our offense and defense works best when Cash and TYoung are on the floor at the same time (..with Piph/Sloot at PG, Riley and Big Syl). I wish Sloot’s shot would start falling. She gets really good looks, she just can’t knock ’em in. If/when Sloot catches fire, this team will be infinitely better than we already are. I genuinely feel like it’s just a matter of time before Sloot starts hitting outside shots. Her turnovers have remained low so it’s all good. During the live access telecast, the announcers mentioned that Sloot might be hurt or sick. I don’t think we ever got any real confirmation on that so we’ll have to see. I dunno about Willingham. She really hurt us down the stretch with some missed chippies, turnovers and bad fouls. There was a brief stretch during the 4th quarter when EVERYTHING was going wrong for Willingham and it was absolutely killin’ us. Pokey made the right adjustments (i.e. bringing Riley back in; giving Big CSwords some minutes finally) and everything turned out ok.
Last person I want to discuss is Coach Chatman. I luv her. For real. As much as I loved Piph’s interview going into the lockerroom at halftime, Pokey’s interview coming out of the lockerroom was even more awesome. She’s so real and honest. I luv it. Not to mention, that final play was brilliant. Yes, Swin’s pass to Syl was fantastic. Big Syl’s catch and finish was on-point. But seriously, the play was brilliantly perfect. I assume Pokey drew that up. In the past, we don’t get this win because we don’t run that play. But did Ticha, like, lose a bet or something? Do we know why she’s wearing a red bow tie?!? LoL, SOOOOO RANDOM…I LUV THIS TEAM! Epiphanny Prince’s 31 points were a career high, surpassing the 25 she scored against the Connecticut Sun on June 23, 2011, but she was not happy at halftime and called herself out for her bad attitude. I dunno what she means when she says she was “mad because I had to be the point guard.” What is she referring to? For some reason, the Daily Herald continues to keep it’s Sky articles under lock-and-key. Looks like they have two articles about the game on their site so if you’re a Herald subscriber, check it out. Sky got the ATL Dream coming up in a few! Gameday! 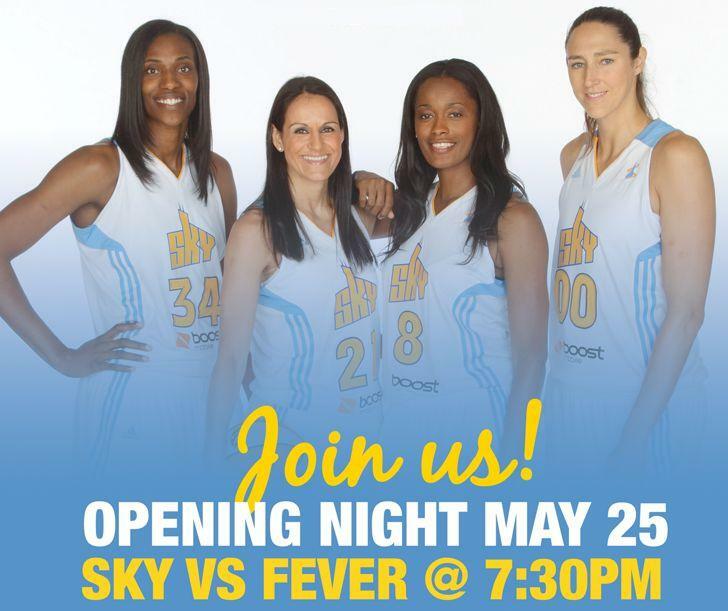 Home Opener TONIGHT vs. Indy Fever! * A R T I C L E * 7 Key Storylines for Sky’s 7th Season (Daily Herald) — For some reason, this article is on the subscription-only section of the website, so you can’t read it unless you pay the $7.99 (…or read around the annoying splash advertisement that pops up). Basically, the 7 key storylines are: (1) New acquisitions, (2) Coach Pokey Chapman, (3) Solid returning core of Piph, Sloot and Big Syl, (4) Sky must reduce turnovers to stay competitive, (5) Solid bench with Shay Murphy and TYoung, (6) Olympics and (7) Pressure to make the playoffs. Great article, too bad it’s being kept under lock and key. Besides trying to help the Sky reach the playoffs for the first time, Petrovic also wants to embrace Chicago’s large Serb population — the second-most of any city in the world at 300,000. Although she only has been in Chicago for a month, Petrovic wants to learn more about the Serbian neighborhoods in the city. The Indiana Fever weren’t completely happy with their performance to begin the season, but with veteran leadership from Tamika Catchings and Katie Douglas, they were still feeling good at the final buzzer. After nearly a week off, the Fever return to action Friday night to face the Chicago Sky, who are equally well rested for their home opener and also coming off a season-opening win. In a rematch of last season’s Eastern Conference finals, Indiana defeated Atlanta 92-84 on Saturday. Catchings scored 16 points and added seven rebounds while Douglas led the team with 21 points. 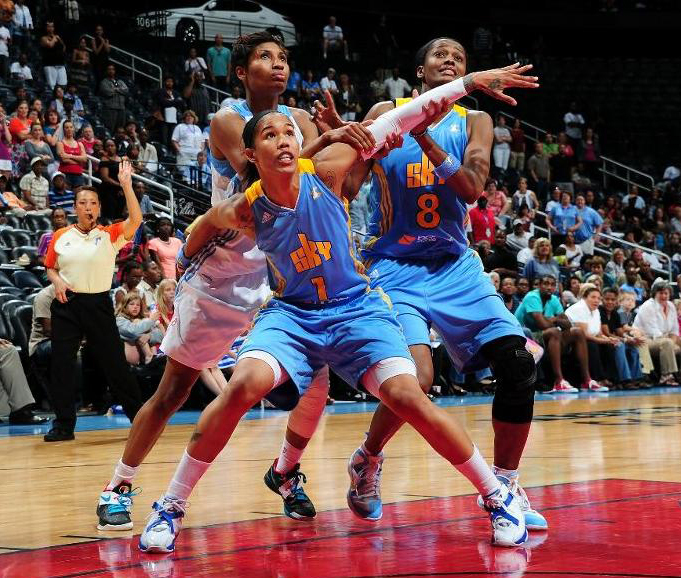 Catchings, the defending league MVP, was limited the final two playoff games against the Dream – both Fever losses – with a torn plantar fascia. She showed no signs of any lingering problems Saturday, though, shooting 5 of 11 and hitting two 3-pointers – putting her among the team’s WNBA-record eight players to hit a shot from beyond the arc. The Fever never trailed, but they had 17 turnovers and saw a 17-point fourth-quarter lead cut to four with 35 seconds remaining. Indiana went 6 of 8 at the free-throw line after that to put the game away. While a healthy Catchings will be key to another deep playoff run, Indiana also expects a lot from Douglas, who starred in the 2011 postseason with 19.7 points per game – up from the 13.9 she averaged during the regular season. Chicago is also looking for some improvement following a victorious opener. The Sky won 69-57 at Washington on Saturday. “We still have some wrinkles we have to straighten out, but this was a good start and definitely a test for us to see what we were made of,” said Sylvia Fowles, who had 23 points and 12 rebounds. Fowles was the WNBA defensive player of the year and one of the few bright spots for a Chicago team that finished fifth in the East in 2011 and remained without a playoff appearance in franchise history. She averaged a career-high 20.0 points and 10.2 rebounds. While defense hasn’t been a problem for the Sky, secondary sources of scoring have been hard to come by. Chicago ranked fifth in the conference last year with 74.2 points per game, then added Swin Cash and Ruth Riley in hopes of improving those numbers. Indiana won three of four against Chicago last season, splitting two on the road. GAMEDAY! Season Opener TONIGHT vs. DC Mystics! POW, POW, POW! 3rd East POW for Big Syl!